discuss altering the minimum order quantity. 1-800-486-2118. 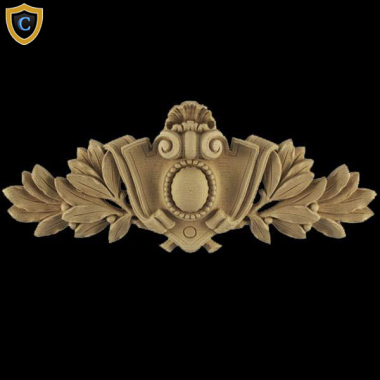 Our Decorative Compo Accents are great interior products for both residential and commercial projects, and are best utilized when applying to wood surfaces, like mantel pieces, fireplaces, and walls. Each of our decorative composition ornaments are cast replicas of master wood carvings that have resin detailing - hand applied - to create a product that reflects high-quality. These complimentary ornaments highlight the essence of high-quality products, and they are easily paintable as well as stainable. Please refer to the installation instructions and finishing tips under the "Resources" tab.